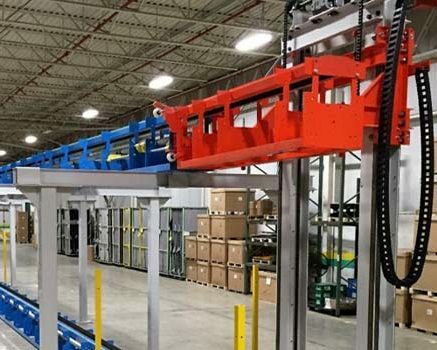 The IntelliTrak Inverted Conveyor System provides all of the features and benefits of the 500/1500/3500 Series Overhead Conveyors, in a floor-mounted version. 500i Series: Floor-mounted, for loads up to 500 lbs. 1500i Series: Floor-mounted, for loads up to 2,000 lbs. 3500i Series: Floor-mounted, for loads up to 6,000 lbs. 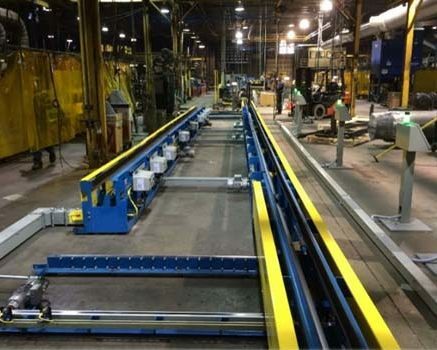 Custom-designed Inverted Conveyor with a unique layout and rotating weld fixture for increased efficiency. 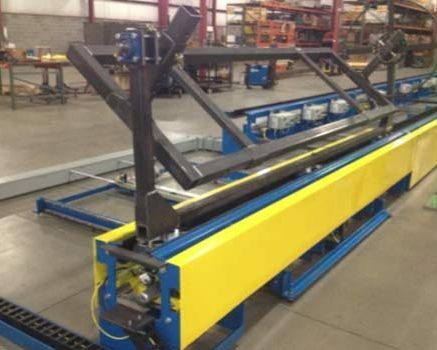 A fabricator of fuel tanks for OTR trucks needed a conveyor system for a new product. 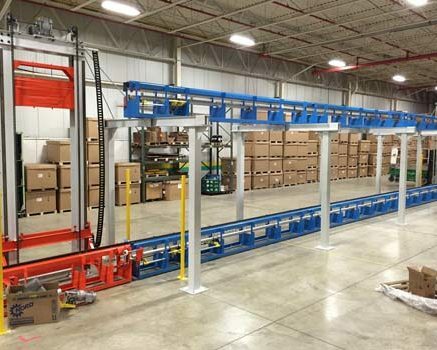 With very little overhead space available, the obvious solution was the IntelliTrak 1500i Series Inverted Conveyor. 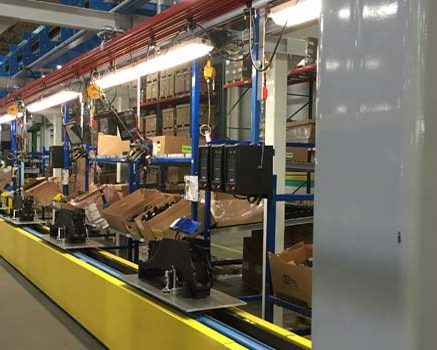 IntelliTrak engineered a unique, custom-designed layout that incorporated multiple workstations, a 360° rotating carrier (weld fixture) and shuttle, resulting in an efficient conveyor system that would require less maintenance and allow for higher uptime.